We generally hold a 2 to 3 day sale, depending on the amount of items and size of the estate. The last day of the sale is our “crazy” discount day. We will then coordinate with you as to the remaining items and how you want us to deal with them, there are several options. We can leave your property “broom-clean” or leave it in the post-sale condition, if the owner prefers to deal with the remaining contents themselves. PLEASE do us both a favor & "leave it alone". 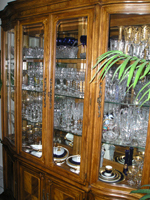 Be sure NOT to clean, throw out, sort, or rid the house of ANYTHING prior to calling an estate sale professional to empty the house. Too many times your idea of "cleaning" is an estate liquidator's idea of stripping and possibly of ruining the chance of a virgin estate to the public. You never know what someone might buy….even the smallest things can be exactly what someone was looking for! 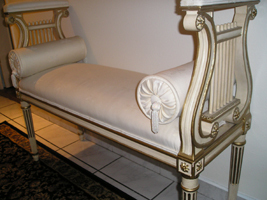 We are experienced set-up professionals, we'll decide what needs to be thrown away. We will sort, clean, organize, design placement and stage your sale for maximum profits. There is no need to burden yourself with cleaning up & organizing before we come. We've seen it all and it's OK. However, the items you choose to keep or pass onto the family should be removed prior to your evaluation, not after. Also all personal papers, documents and family photos should also be removed before we begin. 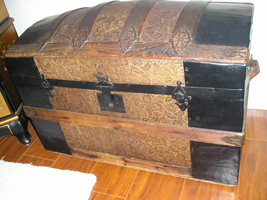 There are MANY estate sales where there are few, if any, collectibles or antiques and they still do well with the end net worth. The fact is, if an item is needed for day to day living, it can be sold at a profit above donating, giving or throwing into a landfill. 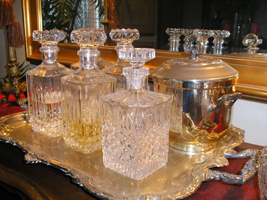 There is no reason to ignore items of worth simply because they are not new or what you might consider everyday items. You never know what will interest someone! Generally, when the sale is contracted with SEASIDE ESTATE SERVICES the sale can occur within a few weeks depending on the number of other sales which may already be scheduled. We will work with you to fit into both our schedules. This really depends on the contents and condition of the home. If you have a FULL house, garage and garden, inside & out-it could take a while. If your Estate is on the small side we need at least seven days to set up, advertise and conduct the sale. We understand that there are times that the sale needs to happen more quickly and we do our best to accommodate such instances. This rarely happens because by the time the family has contacted us, they have spent a great deal of time contemplating their options. However, if the sale must be cancelled, we charge for the time and expenses incurred by SEASIDE ESTATE SERVICES up to the cancellation of the sale, PLUS a penalty fee. SEASIDE ESTATE SERVICES AND SALES is served in all of Orange County in Southern California. Our clients & customers are able to look at aproximately 100 preview pictures on our company website www.seasideestateservices.com prior to the sale. This way they have a good idea of what’s available before they arrive. We additionally list your sale with 100 pictures on www.estatesales.net and three other major online estate sale websites the week before your sale date. 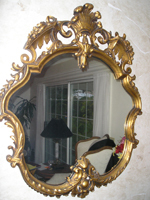 Estatesales.net is a premier, nationwide site that all avid estate sale shoppers, dealers and collectors check every week in their local area. We also list on local Craigslist as well as sending out a huge “email blast” of over 1500 subscribers. The pictures are very important....buyers always pre shop with their eyes! How is SEASIDE ESTATE SERVICES compensated? Other factors will ALSO be discussed that could come into play that COULD affect the pricing structure. We carefully go over the contract with you to ensure there is no confusion concerning our services or payment. Seaside Estate Services believe that having a qualified Estate Sale representative is the best way to have a profitable sale. We know the fair market pricing of the items we sell and this ensures you have a great sale! 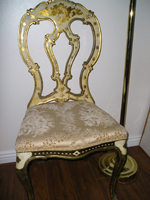 Within a few weeks time following your sale, we will provide an inventory of items sold. You will get a final settlement accounting containing both the major and minor purchases, all costs, labor hours involved, advertising materials and receipts and any special item that may pertain to your sale. *Most sales take place over a TWO OR THREE DAY period. *Set up can be from 4 days to one week prior to actual sales days. *Our excellent reputation and service brings many hundreds of qualified buyers to your sale. 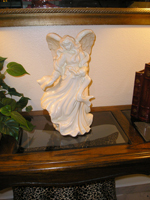 *We provide display set-up tables, shelving & display cases for valuables. *Advertising and promotion of the sale including website postings with photos, Estatesales.net, Estatesales.org, Estatesale.com, Craigslist, our home website, email notices to 100’s of subscribers and outdoor signage the day of the sale.